Often scattered light is considered as unwanted or straylight, because it deteriorates the image quality of optical systems, reduces contrast, leads to glare or even to damage of system components. The intensity, angular and polarization characteristics of scattered light depend on the properties of the scattering centers; therefore light scattering is an excellent analysis tool for non-destructive, contact free material testing, e.g., using laser particle sizers. 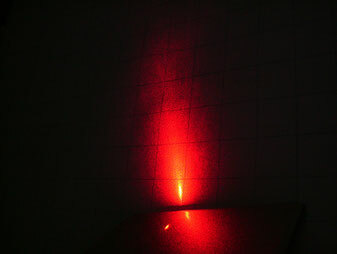 In illumination system design, light scattering is useful for guiding light and for homogenization of the luminance. Rough surfaces or surfaces contaminated with particles scatter light and thus become secondary light sources. The radiance of such a source, relative to the irradiance of the incident light is called BSDF (bi-directional scattering distribution function) gives a complete description of the scattering properties of the surface (if polarization is neglected). Depending on whether the diffusely scattered light gets transmitted or reflected, the BSDF is also called BTDF (bi-directional transmittance distribution function) or BRDF (bi-directional reflectance distribution function). In the ideal case, the BSDF is given as a scattering model which has been fitted to measured data. In some cases, when the scatterers are sufficiently well characterized, the BSDF can also be calculated from first principles. Create effective BSDF models for structured surfaces or (thin) layers of volume scatterers. Small particles or other volume inhomogeneities scatter light and lead to turbidity (haze). 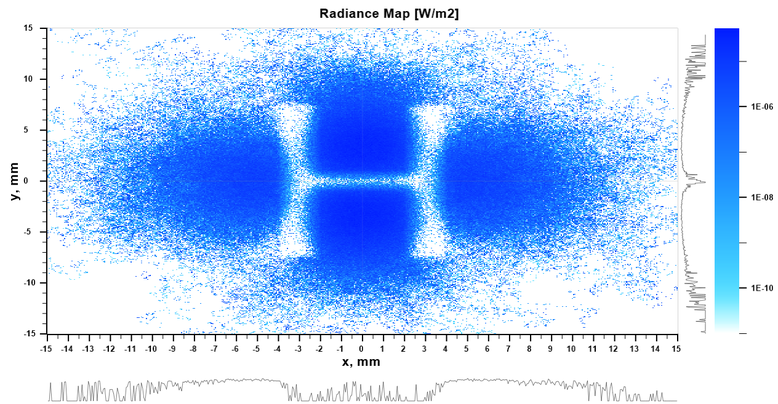 Often volume light scattering can be considered as a sequence of scattering from individual scattering centers and straight propagation between the centers. Consequently, the properties of a volume scattering medium depend on the optical properties of the scattering centers as well as on their spatial distribution. For modeling the scattering centers, numerous theoretical methods are available, in particular Mie theory, the extended boundary condition method (EBCM), Discrete Dipole Approximation (FDTD) or the Finite Different Time Domain method (FDTD). The simulation of the propagation in the volume scattering medium is normally done by Monte Carlo ray-tracing. Modeling of the individual scattering centers using various theoretical methods. Simulation of complete opto-mechanical system, in which volume light scattering plays a role, such as diffuse light guides, bio-optical systems, atmospheric optics, optical particle sizing.